Though the airline has kept a reserve price of Rs 315 crore for these properties, it hopes to make around Rs 500 crore from the sale. Various government departments as well as State Bank of India (SBI) have shown interest in buying the properties to be auctioned by Air India in Mumbai, sources in the know said. Advertisements, issued last week, got good response from prospective buyers, sources said. “Some government departments want to buy the apartments directly,” they added. Air India is e-auctioning 41 apartments in Mumbai in the first phase. The carrier plans to auction its properties in other cities soon. Though the airline has kept a reserve price of Rs 315 crore (Rs 3.15 billion) for these properties, it hopes to make around Rs 500 crore (Rs 5 billion) from the sale, said sources. Out of the reserve price, one building in Mumbai’s Pali carries a reserve price of Rs 200 crore. “The Pali building has 12 apartments and unused development rights,” the source said. The Air India executive also said SBI has expressed interest in buying six or seven flats in Sterling Apartments in South Mumbai. “Last time, they bought five or six flats in Sterling Apartments. SBI wants to buy more,” the official said. According to the source, the Prime Minister’s Office (PMO) is monitoring the sale of Air India’s properties in various cities, nearly two months after the Cabinet approved divestment in the state-owned carrier. 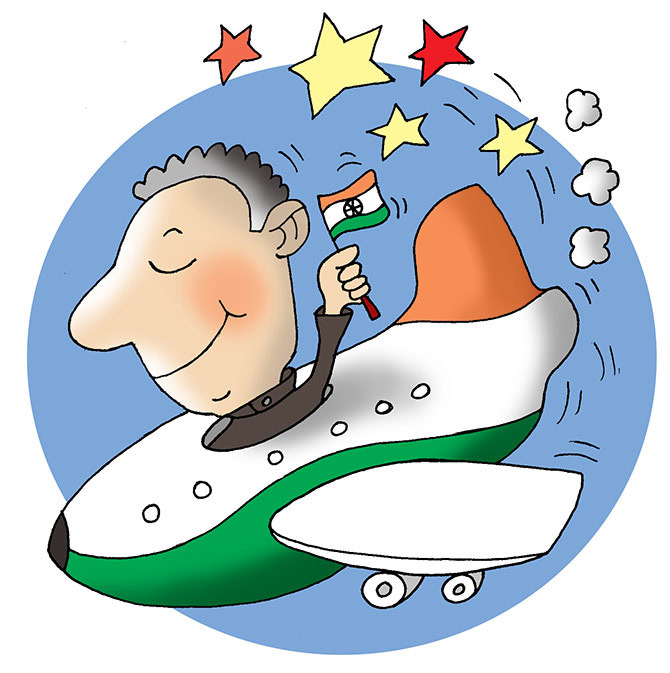 “Air India is not behaving like a typical government-owned company in this case. There is improved vigour and interest from them. The PMO intervention is visible as we get mails on Sunday also,” said the source. Air India has simultaneously expedited the process of leasing vacant spaces in its iconic building at Nariman Point. “Recently, we leased out a floor to Bank of Baroda. Total lease revenue from the Nariman Point building is around Rs 100 crore now,” the official said. US-based Cushman & Wakefield is the property consultant for the sale. The consultant could not be reached for comments. Air India’s auction comes at a time when new residential launches have been on a decline. There was a 17 per cent decline in the number of new launches since second half of 2016, with 40,600 new units being introduced in the first half of 2017 in prime cities. Mumbai and Bengaluru were at the forefront with 35 per cent and 33 per cent of launches, respectively, according to Colliers International.